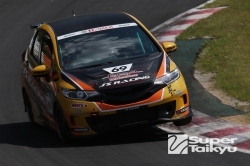 Ng debuting in World Touring Car Championship for Asia Rounds! German outfit Engstler Motorsport will expand to four BMW cars for the WTCC events in Asia. Besides the two Liqui Moly-sponsored 320 TC cars of team principal Franz Engstler and Kristian Poulsen, and the KK Motorsport 320 TC that will be driven by Masaki Kano at Suzuka, a BMW 320si with the 2.0L normally aspirated engine will be entrusted to Hong Kong driver Charles Ng on his maiden WTCC participation. After building himself a solid reputation in drifting, the 27-year old Ng began his racing career in the States where he won the 2009 Skip Barber Mazda Challenge; last year he claimed the Asian Touring Car Series title in a Honda Integra. After Suzuka he will also race at Shanghai and Macau.